The brain stem is the oldest and most primitive part of the brain. It regulates basic physiological processes necessary for life, such as breathing, temperature regulation, sleep-wake cycle, and cardiac function. 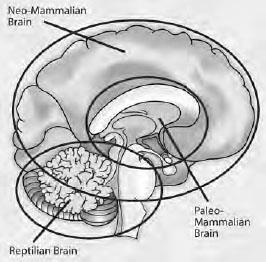 The brain stem has been relatively conserved across evolution and therefore does not dramatically differ across animal species.